Traditional and Roth IRAs are established by individual taxpayers, who are allowed to contribute 100% of compensation (self-employment income for sole proprietors and partners) up to a set maximum dollar amount. Contributions to the Traditional IRA may be tax deductible depending on the taxpayer’s income, tax filing status and coverage by an employer-sponsored retirement plan. 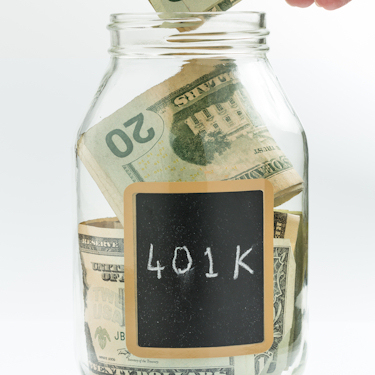 Roth IRA contributions are not tax-deductible. With the exception of Roth IRAs, where eligible distributions are tax-free, eventual withdrawal from an IRA is taxed as income; including the capital gains. Because income is likely to be lower after retirement, the tax rate may be lower. Combined with potential tax savings at the time of contribution, IRAs can prove to be very valuable tax management tools for individuals. Also, depending on income, an individual may be able to fit into a lower tax bracket with tax-deductible contributions during his or her working years while still enjoying a low tax bracket during retirement. Are you worried about outliving your income? Annuities are long-term investments designed for your overall retirement planning strategy. Annuities are one of the most misunderstood but versatile financial products available today. An annuity is an insurance contract designed to protect you from the risk of outliving your income. How do annuities work? An annuity is a contract between you and the insurance company, where you make a lump-sum payment or series of payments over time. In return, the insurer agrees to make periodic payments to you beginning immediately or at a specified date. Annuities can provide you with retirement income payments for as long as you live, protect beneficiaries with a death benefit, and allow you to avoid outliving your assets. Annuities also provide tax-deferred growth and diversification your investments. This means you do not pay taxes on your earnings until you actually withdraw them from your policy. © 2016-2018, Wesley K Smith, Inc dba Wesley K Smith. All Rights Reserved.